Summer fun should be for everyone — and the city of Maumelle is making sure that is the case with the kick-off of a campaign to build an all-inclusive playground and splash pad. 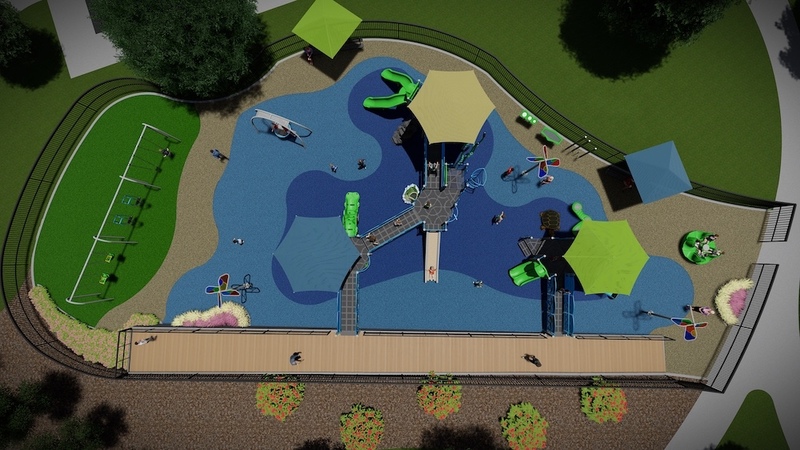 The completed project will include a splash pad as well as playground equipment that can accommodate children with all levels of physical abilities, including those who may be in wheelchairs. The cost of the entire project is $800,000, with fundraising efforts being led by a committee of volunteers. 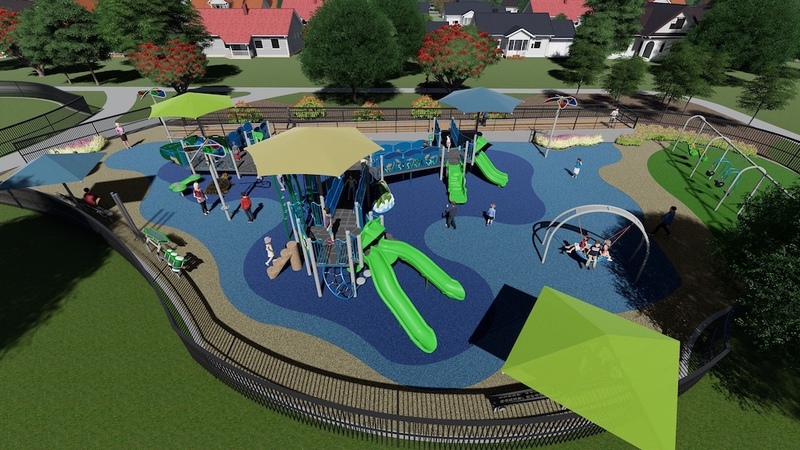 This playground will be located at Lake Valencia next to the tennis courts and will be the first in Maumelle to accommodate children and caregivers with disabilities. One element will be swings that allow all children, including those in wheelchairs, to try them. Renderings also show smooth rubber flooring that allows wheelchairs to move around easily, ramps (rather than stairs) to access all areas of the playground and several shaded areas. The city has launched a crowdfunding campaign on Redbasket with the goal of raising $21,000 in the next 21 days to purchase and install a perimeter fence encircling the playground. Fences are particularly important on this playground because children with autism often have urges to run. For news and updates, follow Maumelle Play & Splash on Facebook and Instagram. Other inclusive and accesible playground in central Arkansas include One Heart Playground at Burns Park in North Little Rock and The Crossing at Angel Court in the East End community of Little Rock. For more recreation opportunities for kids with special needs, check out our complete Special Needs Resource Guide.